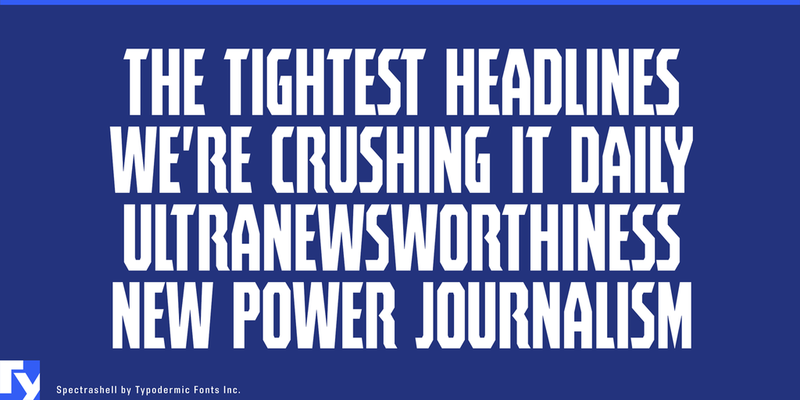 Spectrashell is a compact headline crammer—heavy capitals designed for maximum impact with sharp angles that are impossible to ignore. 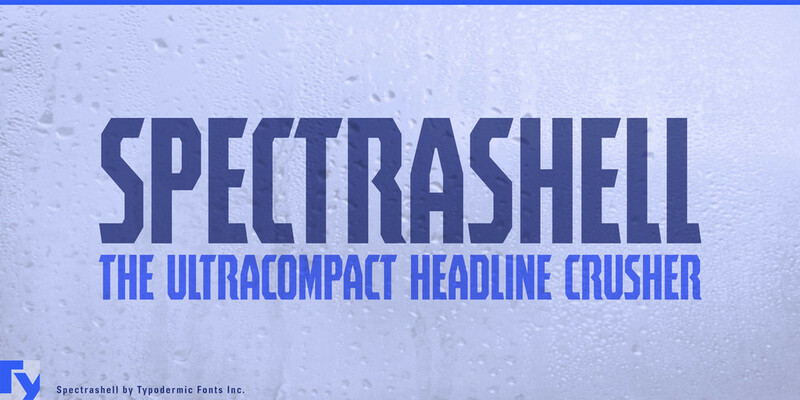 Spectrashell began as a logotype for a brand of rugged, hard-shell, waterproof passport cases. The logo was required to fit tightly inside a metal stamped hexagonal badge only 20mm wide. The letterforms needed clear, obvious cuts to compensate for detail lost during the stamping process. 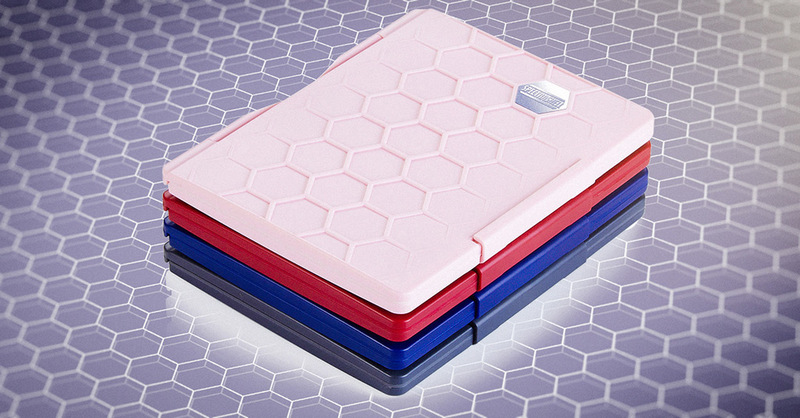 These waterproof passport cases have a strong hexagonal pattern. 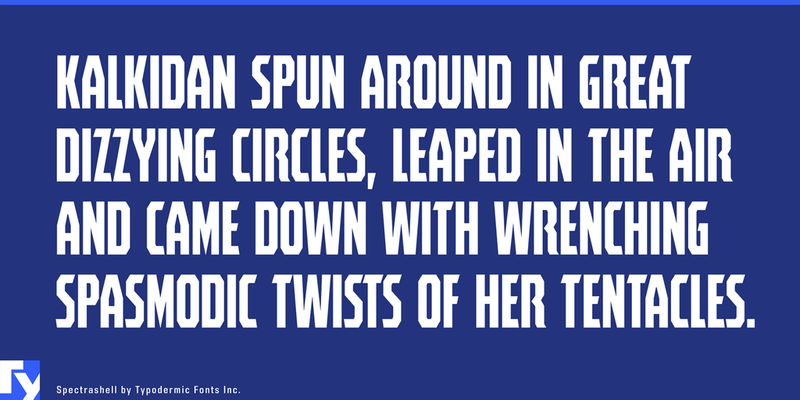 The typeface’s angles were designed to harmonize with hexagons—consider pairing this typeface with hexagonal themes and patterns. Almost all current Latin based languages are supported, including Vietnamese, Cyrillic languages and Greek. 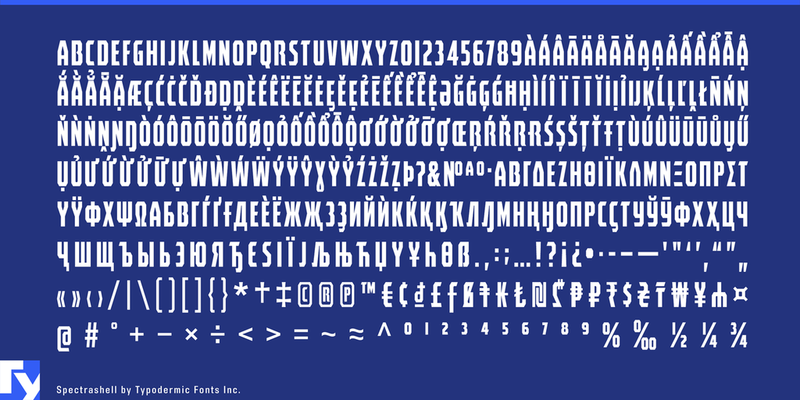 If you’d like to embed this font in an app, ebook, on the web or anything that’s not covered by the desktop license agreement, visit the link below. You'll find distributors who offer different types of licenses or you can contact me for help. 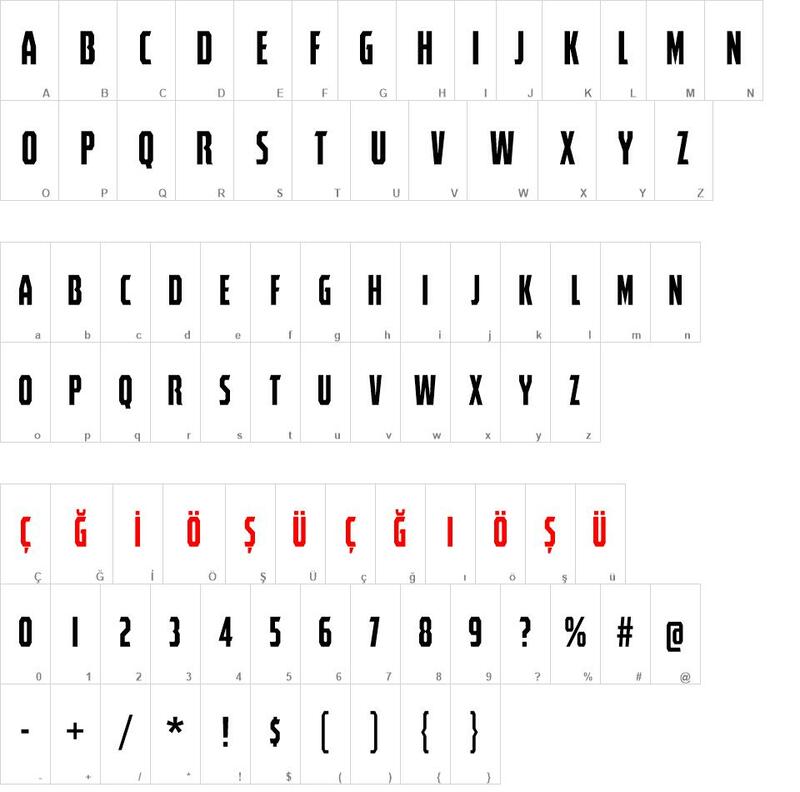 Spectrashell font download, Spectrashell font.